First of all, thank you for all the joy you bring into our lives. Secondly, we sincerely hope you will love this very special male version of Adele's Hello as much as we do. Would you please check it out and tell us what you think about it? 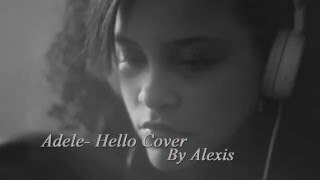 Korean Teen Girl Sings Cover of Adele's "Hello"
How beautiful!!! Very special interpretation. Kisses. The first time I heard her sing I got goosebumps all over my body and tears sprang to my eyes. Waow, this cover is one of the best I've heard ! Congrats Nuno ! Very well done ! I prefer Nuno's cover to the original! Nuno Resende is so talented! Je suis fan, mais là tu déchires encore Nuno! Magnifique. Original and pewerfull. Love it. Great cover ! 100% Nuno as always ! Such a wide vocal pallet ! Worth seeing in Live , great perfomer too ! Reprise magistrale de cette sublime chanson d'Adèle!tu "déchires grave",Nuno. Avec sobriété et talent. Très belle interprétation. Bravo. This special performance has touched my soul. Bravo! Merci pour le temps d'une chanson, d'avoir du baume au Coeur.